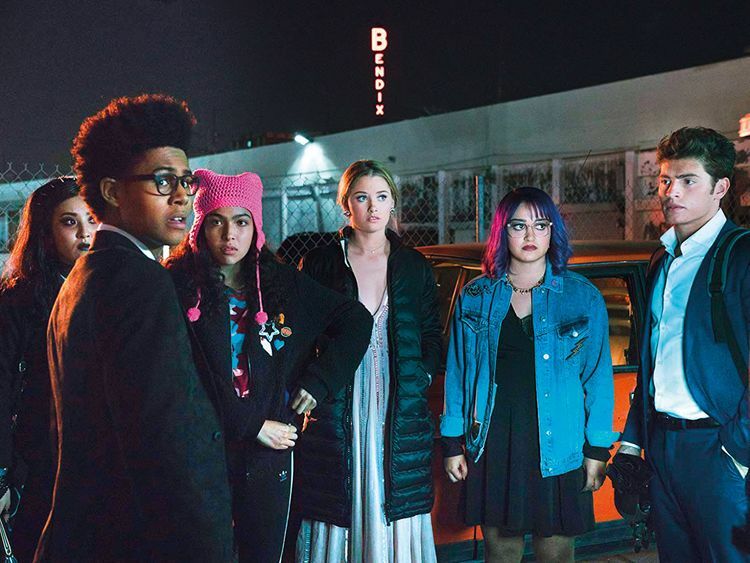 ‘Marvel’s Runaways,’ described in our review as just “as much ‘The Breakfast Club’ as it is ‘X-Men,’” has been renewed by Hulu for a 10-episode third season. The series chronicles the adventures of a group of affluent teens: Gert Yorkes (Ariela Barer), who talks to dinosaurs; super smart Alex Wilder (Rhenzy Feliz): extraterrestrial Karolina Dean (Virginia Gardner), witch Nico Minoru (Lyrica Okano); athlete Chase Stein (Gregg Sulkin); and super-strong tween Molly Hernandez (Allegra Acosta). The group discovers that their parents are members of a super-villain team called the Pride. Seems deep, and dark. But unlike the former New York-based Netflix shows or even the New Orleans-based Freeform show ‘Cloak and Dagger,’ ‘Runaways’ is the Marvel show that is “quintessentially California,” according to co-showrunner and executive producer Stephanie Savage. In true LA fashion, the announcement video uses social media to illustrate the show’s popularity. Yorkes’ dino pal Old Lace helps deliver the message that the show’s devoted fans made their desire to have a third season of the show well known.